The center in Prague-Troja is normally open continuously 7 days a week, it is possible come for a retreat or introduction to meditation. Besides being continuously open, we also organize extra courses as listed below (see also our facebook page or contact us). weekly evening meditation group, Tuesdays 6pm−8pm, with the possibility of talking to the teacher. Group meeting involves a talk by the teacher, introduction to practice for newcomers and joint meditation. In principle, we invite anyone to come any time for the practice, but we need to assure good conditions for long-time participants. Feel welcome and be considerate.Please contact us before arriving at the center. 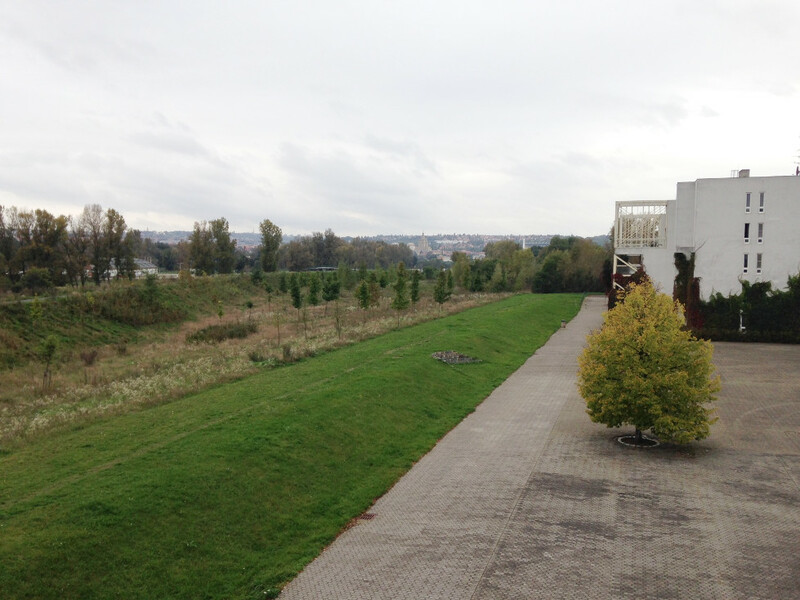 The center is located at the address Na Kazance 636/3, Prague 7−Troja. It is easily accessible by public transport or car. It is near the Prague ZOO, and can be reached on foot from the Stromovka park as well. It faces the riverbank and is rather quiet. Take tram no. 17 (it crosses the whole city from south to north), get off at the Trojská station; take the bus 112 from there, 2 stations to “Čechova škola”, or walk along the street for about 10 minutes. Take the C (red) subway line, get off at Nádraží Holešovice, take the bus 112 (goes every 2-5 minutes during rush hours), get off at the Čechova škola station after about 7 minutes (the station is on-demand). Use your navigation to get to the street Na Kazance. That’s where you can park. Getting off at “Čechova škola”, walk in the direction as you can, take the first left. If you come by car, that is the “Na Kazance” street, suitable for parking. Go to the very end of the street, tu right; you will see the dark orange rug on the veranda of our center. The house number is 636/3; you will see our sign at the house door. Ring the bell marked “Meditační centrum”. Please spread the information about the course, including to people abroad. We also appreciate volunteers for one-time or regular help, such as bringing a cake, giving hand at the course start with moving, picking people up at the airport and such. One can offer your help in general, without commitment, and we will contact you when a particular need arises. Thanks to the generosity of good people, the course can be entirely donation-based this time. We nevertheless hope to cover the costs with your donations. They will be used to cover course expenses: flight tickets for teachers, rental of the house, operating costs. Thanks in advance! If you come only during the day, you don’t need virtually anything. We will provide meditation cushions and pads, you can also bring your favorite one with you. Chairs will be available, if you prefer them to sitting on a cushion. Comfortable lose clothes, preferably light colors (traditional lay color is white). There will be some blankets in the center, if you are cold during sitting. Thermos bottle; there will be various teas and coffee at your disposal, you can bring your own. Countdown timer for meditation (walking, sitting); we will have some if you don’t, alarm clock to wake up in the moing (students can bring their mobile phones but they will be kept by the teachers and only be available for emergencies). Traditional 8 precepts are to be observed by those in basic course / retreat, short-term participants should, when in the center, follow 5 precepts (up to agreement with the teacher).